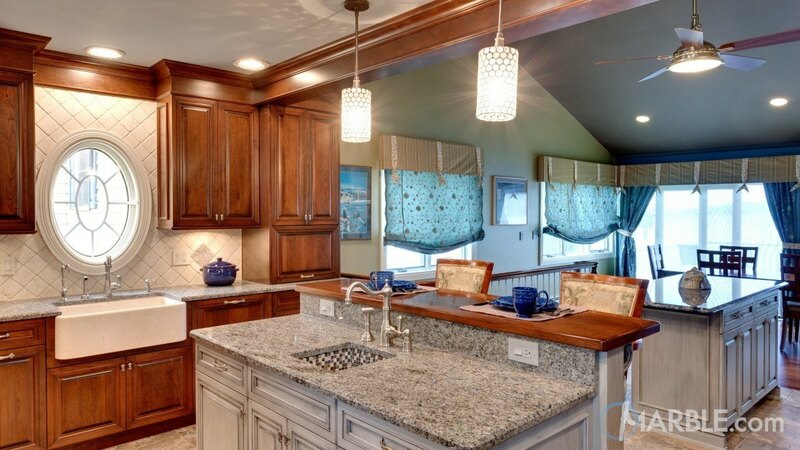 The Blue Eyes granite with a Half Bevel Edge is absolutely gorgeous in this kitchen. 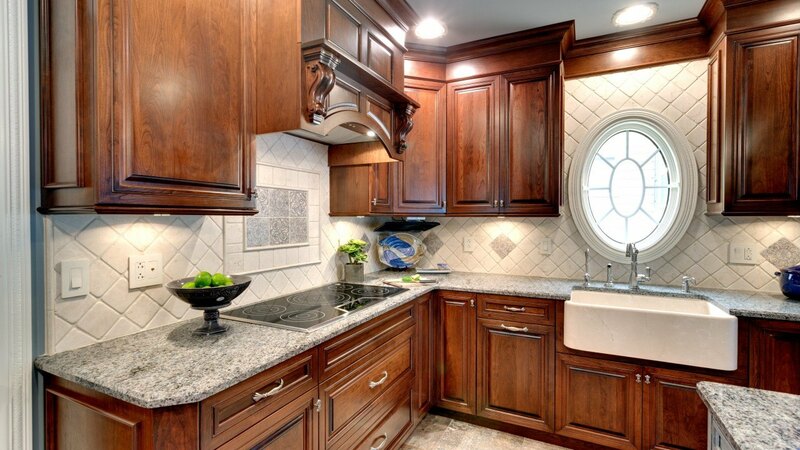 The granite sets off the dark cabinets and adds character to the layout. 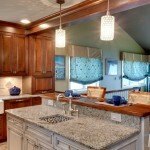 The farm sink gives a bit of whimsy and the round kitchen windows play to the theme of the kitchen. 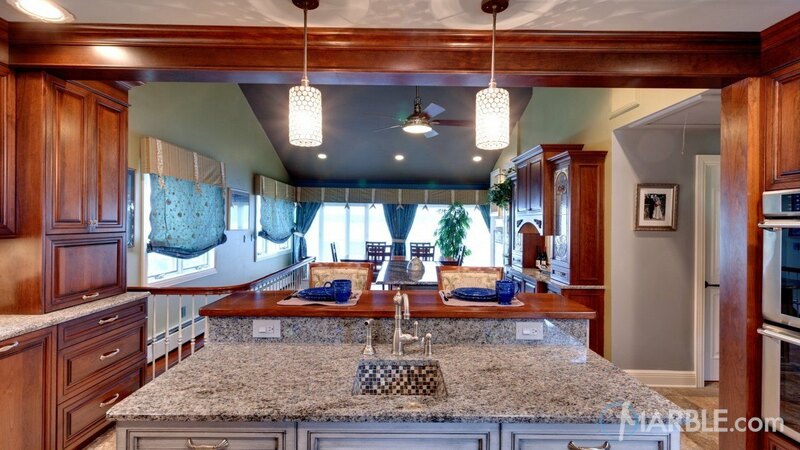 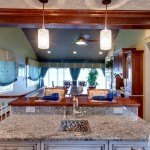 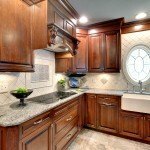 The tiled floor sets off the cabinetry and the granite counter tops to perfection.